The Co-operative Bank of Kenya has today partnered with SimbaPay, a digital money transfer provider, to offer international money transfer services to the bank’s customers in the Diaspora. Co-operative Bank accounts receiving the funds will be credited instantly. The service is currently available for the UK-Kenya remittance corridor only and will be expanded to cover more countries soon. 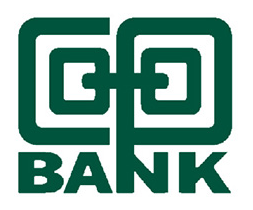 Co-op Bank has created a dedicated Diaspora Banking department at its Co-op House headquarters to offer a more fulfilling banking service to Kenyans abroad. According to the World Bank, Kenyans abroad currently send home an estimated $2.5 billion annually making remittances Kenya’s largest foreign exchange earner. To send money via SimbaPay, Kenyans living in the UK with a bank account, debit card or credit card simply need to download the SimbaPay app from the Apple AppStore or Google Play and proceed to make money transfers straight from any mobile phone, tablet or computer. For ease of use, all 143 Co-op Bank branches have been pre-loaded on to the SimbaPay platform which eliminates the need for customers having to remember branch codes. At the time of making a money transfer transaction using SimbaPay, users/senders will be required to select the branch of the recipient account and then enter the amount. In cases where a branch name is not known, the SimbaPay access to M-Pesa Pay Bill option can be used; this option requires only the Co-op Bank account number. In September 2015, SimbaPay was named the overall winner at the just concluded Demo Africa 2015. SimbaPay also launched free, instant transfers to all Nigerian banks in May 2015. In June it became the first platform in the world to allow Kenyans living abroad to make M-Pesa PayBill payments and continues to disrupt the cross-border remittance industry with its focus on speed and convenience. SimbaPay is an award winning mobile app transforming the international remittance space. With a focus on breakneck speed, convenience and constant innovation, users are able to send money to loved ones or even vendors in Africa, from wherever they are at any time of day or night. The Co-operative Bank of Kenya is a national brand as it is anchored in Kenya’s 15 million-member co-operative movement and currently has 5.4 million customers. It is a leading bank by asset-size and market value on the Nairobi Securities Exchange. The bank retains a universal banking model offering full service banking to diverse customer segments in Kenya and the region. It has a service network of 143 branches, 8000 agents, 600 ATMs, a mobile banking with over 2.7 million customers and provides banking access to the 15 million members of the Co-operative Movement.